All who seek a deeper life crave companions along the road, those who can listen well, with compassion and wisdom, those who can guide and encourage our best selves. Individually and jointly, we - Rabbi Eddie Feld and Merle Feld - have spent the past 50 years accompanying, mentoring and caring for students on campus, adults in congregations and havurot and retreat centers, rabbis and cantors well established in their careers and those in training to do sacred work. We, too, have benefited through the years from those who have accompanied us, the teachers and friends and students who’ve offered tenderness and care along the way. Now the challenge is to share our gifts virtually – with those who already know us, and with others who don’t yet know us but who are also seeking resources to grow, enrich, deepen their spiritual lives. Other teachers will be joining with us as well to further these efforts. Through Derekh we will provide individual mentoring, create small group programs, host virtual retreats and partner with you to design special programs meeting your particular needs and interests. Some of our programs center on preparation for holidays, some center on topical themes or concerns. Our Zoom programs feature Eddie interactively teaching texts and Merle facilitating the use of writing prompts to inspire and guide self-exploration. Podcasts by Eddie and Rabbi Jan Uhrbach offer insight into prayer and prayer leadership, while podcasts by Merle will feature readings of her poems and reflections on their themes. A primary objective for rabbis and cantors is to enjoy the benefits of self-care and personal growth; a secondary outcome can be the development of resources to use for your congregations, students, clientele. Equally, we will provide programs for laypeople and seekers. While this site announces and supports our virtual programs, it also provides free of charge a multitude of materials for yourself and your community. (We ask simply that you credit us as the source for what you use and consider making donations to Derekh to help us carry on this work serving you and others.) Additionally, we look forward to this becoming a kind of clearinghouse where we invite guests to post their writing, dvrei Torah, ideas, questions and projects to enrich the conversation. Finally, Derekh will realize its full potential when you partner with us to create the programs you most need and want. To do that we need to hear from you with proposals, suggestions – “I and three of my colleagues would like to study X with Eddie;” “Can Merle create a writing session on Y, can we post the idea here and see who else signs up?” We look forward to hearing from you and to collaborating in creating something very rich and special together. Merle Feld is a poet, award-winning playwright, educator and activist. Merle is author of a memoir in poetry and prose, A Spiritual Life (revised edition 2007); a book of poetry, Finding Words; and several plays, including The Gates are Closing, presented by hundreds of congregations around the world as a powerful and moving introduction to the High Holidays; and Across the Jordan, chosen for inclusion in the first anthology of Jewish women playwrights, Making a Scene. Her writing can be found in numerous anthologies and prayer books including Mahzor Lev Shalem, Siddur Lev Shalem, and The Torah: A Women’s Commentary. She organized and facilitated Israeli-Palestinian dialogue on the West Bank during the first Intifada and later at Seeds of Peace. Merle has pioneered teaching writing as a spiritual practice and since 2005 has served as Founding Director of the Rabbinic Writing Institute, mentoring and accompanying rabbis across the denominations as they explore their inner lives and develop their authentic voices. Edward Feld has published widely on Jewish theology, prayer, the Hebrew Bible, and on halachic and ethical issues. He is the author of Joy, Despair and Hope: Reading Psalms (Cascade Books) and The Spirit of Renewal: Faith After the Holocaust (Jewish Lights). He is the senior editor of the new Mahzor Lev Shalem, published by the Conservative Movement’s Rabbinical Assembly, for which he was listed as one of the Forward 50 – the 50 outstanding American Jews of 2010. Subsequently he completed the companion Siddur Lev Shalem for Shabbat and Festivals. In his distinguished career, Rabbi Feld has served as Rabbi-in-Residence at the Jewish Theological Seminary of America functioning as an advisor and mentor to rabbinical students, Rabbi of the Society for the Advancement of Judaism, and Hillel Director of Princeton University. He is a noted teacher, lecturing throughout North America. For the past 15 years, Lisa Batya Feld has worked as a writer and editor for a wide range of academic institutions and scholarly presses, including the Hadassah-Brandeis Institute, the Jewish Women’s Archive, Oxford University Press, the Colorado Review, and the Rabbinical Assembly. She is currently a rabbinical student at Hebrew College. Rabbi Patricia Karlin-Neumann came to Stanford University in 1996. She is the first university chaplain from a tradition other than Christianity in Stanford’s history. In 2001, she was appointed Senior Associate Dean for Religious Life. She teaches and lectures widely on Jewish feminism, rabbinical ethics, the relationship between religion and education, and social justice. Rabbi Karlin-Neumann was ordained at the Hebrew Union College-Jewish Institute of Religion in 1982. She has been a Hillel director and Jewish chaplain at UCLA and at the Claremont Colleges, a congregational rabbi in Alameda, California and a regional director for the Union for Reform Judaism, the congregational arm of the Reform Movement. At Stanford, she teaches courses including "Spirituality and Nonviolent Social Transformation" and "Rereading Judaism in Light of Feminism." Dr. Reimer began her professional career as a faculty member of Wellesley College shortly after receiving her Ph.D. in English and American Literature from Rutgers University. While at Wellesley she was awarded fellowships from the American Association of University Women and the Bunting Institute at Radcliffe College. From 1988 to 1995, she was associate director of the Massachusetts Foundation for the Humanities (MFH), the state-based program of the National Endowment for the Humanities. In the early 1990s, Reimer conceived and co-edited two pathbreaking anthologies of Jewish women’s writings — Reading Ruth: Women Reclaim a Sacred Story and Beginning Anew: A Woman’s Companion to the High Holy Days. This work led to the founding of the Jewish Women’s Archive (1995), a leading advocate for and center of education in Jewish women’s history whose award-winning website, jwa.org, has the most extensive collection of material on American Jewish women on the web. Rabbi Jan Uhrbach is founding director of the Block/Kolker Center for Spiritual Arts at the Jewish Theological Seminary where she develops and oversees programs, discussions, prayer services and teaches courses on the meaning of liturgy, including a course she created titled “The Art of Leading Prayer.” She is also tasked with developing curriculum and resources for professionals and lay people seeking to revitalize their leadership and experience of prayer. Uhrbach also serves as the founding rabbi of the Conservative Synagogue of the Hamptons in Bridgehampton, Long Island and played a key role in the acclaimed Lev Shalem prayer book series as associate editor of Siddur Lev Shalem and a member of the editorial committee for Machzor Lev Shalem. Ordained at JTS, she is also a graduate of Harvard Law School (‘85), served as Law Clerk to Federal District Judge Kimba M. Wood and then joined the New York law firm of Satterlee Stephens Burke & Burke LLP, where she specialized in media litigation, becoming a partner of the firm in January 1996. Rabbi Steven Exler serves as senior rabbi of the Hebrew Institute of Riverdale – The Bayit, a large open Orthodox synagogue in the Bronx. He grew up in Baltimore, MD, has a B.A. in biology from Brandeis University and an M.A. in Bible from Bernard Revel Graduate School, and has studied at Yeshivat Har Etzion, in the Yeshiva University Beit Midrash and at Yeshivat Maale Gilboa. His ordination is from Yeshivat Chovevei Torah Rabbinical School, where he was a Wexner Graduate Fellow. He sits on the Rabbinic Advisory Boards of Eshel, Yeshivat Chovevei Torah and Yeshivat Maharat. Dr. Joe Reimer is Associate Professor of Jewish Education in the Education Program and the Hornstein Program for Jewish Professional Leadership. He received an Ed.D. and an M.Ed. from Harvard University. His areas of expertise include Jewish experiential education, professional leadership development and Jewish learning in summer camps. His particular interests are in experiential learning and in child development as that relates to creativity and caring. Some courses he has created are The Psychology of Student Learning, Creativity and Caring, The Psychology of Love: Education for Close Relationships. His many publications include To Build a Profession: Careers in Jewish Education (Brandeis University) and Succeeding at Jewish Education: How One Synagogue Made It Work (JPS) for which he received the National Jewish Book Award in Education. He also received the Human Development Research Award for research on moral development of kibbutz adolescents and young adults. 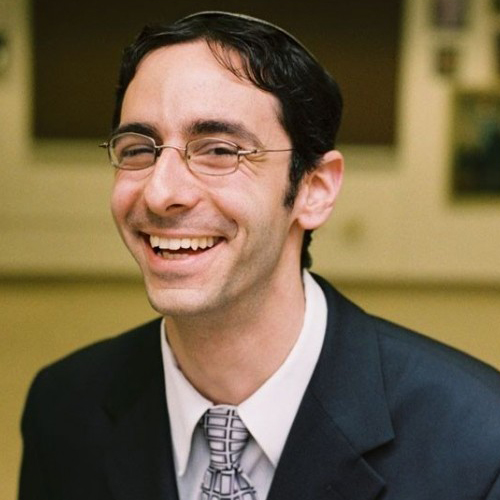 Rabbi Jason Rubenstein is the Howard M. Holtzmann Jewish Chaplain at Yale. He previously served for eight years at Yeshivat Hadar, where he was Dean of Students and Alumni and where he also taught Talmud and Jewish thought. He was ordained by the Jewish Theological Seminary in May of 2011, and holds an MA in Talmud from JTS and a BA from Harvard College. An alumnus of the kollel of Yeshivat Maale Gilboa, the Wexner Graduate Fellowship, the Legacy Heritage Rabbinic Fellows program at JTS, and the Graduate Fellowship in Jewish Law and Legal Theory of the Cardozo Center for Jewish Law, he is also a recipient of the 2015 Pomegranate Prize for Jewish Education.